John Buck and Anna Dickherber were part of a student move-in feature. 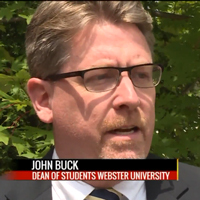 John Buck, interim associate vice president of Student Affairs & Dean of Students, and Anna Dickherber, director of Housing & Residential Life, were both interviewed by FOX 2 News/KPLR 11 News about all of the students moving into residence halls in St. Louis this week. The feature includes footage of the move-in process on the Webster Groves, with the help of Orientation Leaders and faculty and staff volunteers, as well as Buck and Dickherber discussing this major occasion in the academic year. Watch the segment online at Fox2 here. 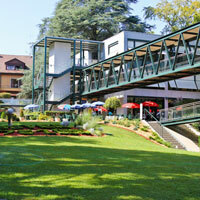 Webster University was listed among the “top colleges” with branches overseas by Forbes. The feature specifically mentioned Webster University’s Thailand, Geneva and Vienna campuses as places that U.S. students should consider if they want to study abroad while earning a degree. But Webster students have even more opportunities to earn a U.S. accredited college degree abroad than those mentioned in the article. The Webster network also includes campuses in Leiden, the Netherlands; Athens, Greece; and Accra, Ghana; as well as many more partnership locations and study abroad programs around the globe. Read the full feature at Forbes online. 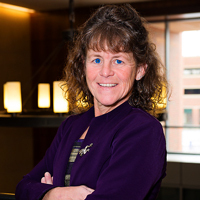 Professor J.P. Palmer, who teaches human resources topics in the George Herbert Walker School of Business & Technology, was interviewed by Fox 2/KPLR 11 for comments on what employees at the former Monsanto headquarters are feeling after seeing after all the Monsanto signs come off their work buildings yesterday. German drugmaker Bayer has now completed its acquisition and merger with the St. Louis-based chemical company, dropping the Monsanto name and naming it Bayer's Crop Science Division. Palmer was quoted in two clips in the story, which aired on both stations, about the effects a merger can have on employees of the acquired company. Webster's campus in Accra, Ghana, was featured on several outlets over the past month for academic and community engagement events hosted on campus. An editorial about the #MeToo Movement in Africa appeared in several international papers, discussing the #MeToo Movement event hosted by Webster Ghana campus in the spring. One version of the editorial appears here. 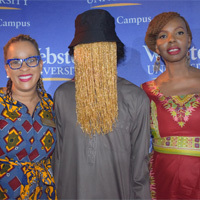 Modern Ghana Magazine had a feature story on the Summit on Investigative Journalism hosted by the Webster Ghana campus, featuring an investigative journalist who exposed a major scandal in the world of soccer and is now hiding their facial features from the public to protect their family. Several other newspapers in Africa also published shorter articles about the summit. Finally, Webster Ghana director Christa Sanders was interviewed on Joy FM, a radio station in Ghana, about the many programs Webster University offers to residents in the region. Her interview was later reported on by local online news site Ghana Nation and can be found here.